Pride and Prejudice and Patina ~ A most welcome – and potentially explosive – art cultural event is to take place in New York. Professor Salvador Muñoz Viñas is to discuss the great complexities and the (often adverse) consequences of “cleaning” pictures. 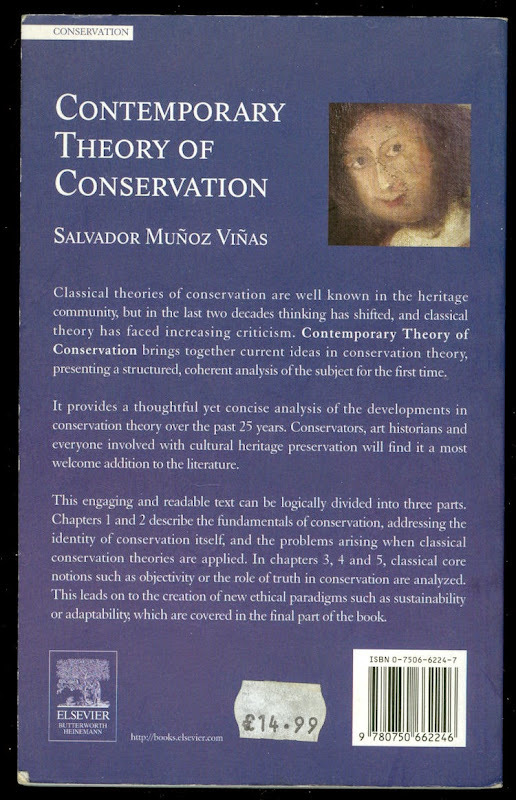 Those lucky enough to attend this lecture might wish first to read Professor Muñoz Viñas’s own philosophically intriguing (and art-politically fair-minded) 2005 book Contemporary Theory of Conservation (see below), and an account of the significance of (even discoloured) varnishes in the proper apprehension of paintings that was given and published by our French colleagues in ARIPA as: “The pictorial role of old varnishes and the principle of their preservation” and “Le rôle pictural des vernisanciens et le principe de leur conservation”. Seating in the Lecture Hall is on a first-come, first-served basis with RSVP. There will be a simulcast in an adjacent room to accommodate overflow. 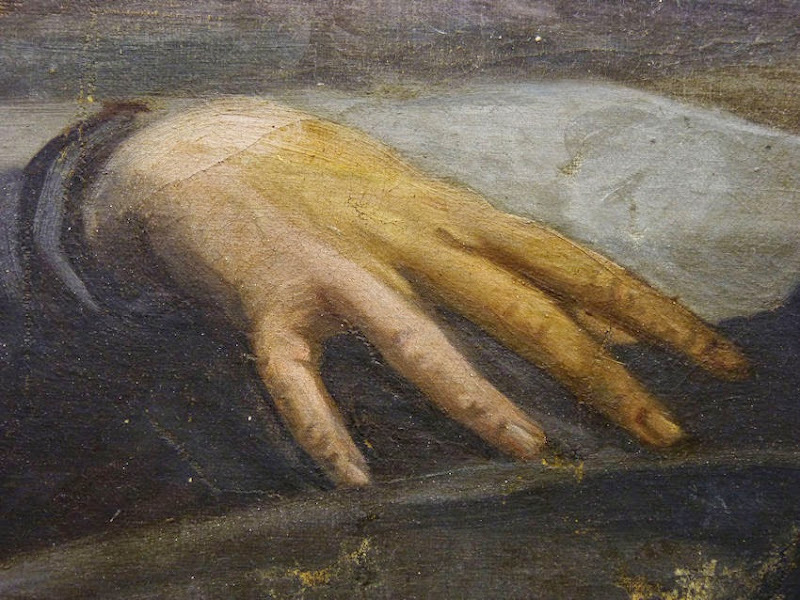 The decision to clean a painting may seem relatively straightforward upon first glance. However, when the decision-making process is carefully analyzed, different, unexpected variables are bound to arise. One of the main problems in this regard is that it may be difficult to precisely ascertain what “clean” means when speaking of paintings. The kaleidoscopic notion of patina is perhaps a consequence of this basic indetermination, and thus reflects the varied attitudes towards what we call the “cleaning” of artworks. Yet, however different, these attitudes share a basic trait: they are all based on a standard classical conservation narrative. Borrowing from Caple’s “RIP model,” this classical narrative can be summarized by describing the main goals of conservation as the “revelation,” “investigation” and/or “preservation” of truth. This widespread narrative, however, is not devoid of problems. As any reader of Sherlock Holmes (or any CSI fan) knows, dirt may be very important when it comes to determining truth. Cleaning, i.e., the removal of dirt, may thus askew the truth, and mislead the observer in some way. The classical conservation narrative is at odds with this potential incongruence; and, in turn, it suggests there may be certain reasons for cleaning that vary from those which are commonly accepted in the heritage world. Dr. Salvador Muñoz Viñas is a Professor at the Universitat Politècnica de València and the head of Paper Conservation at the University’s Conservation Institute. He is also a Fellow of the International Institute for Conservation. His teaching and research work revolves around both the theory of conservation and the technical aspects of paper conservation. 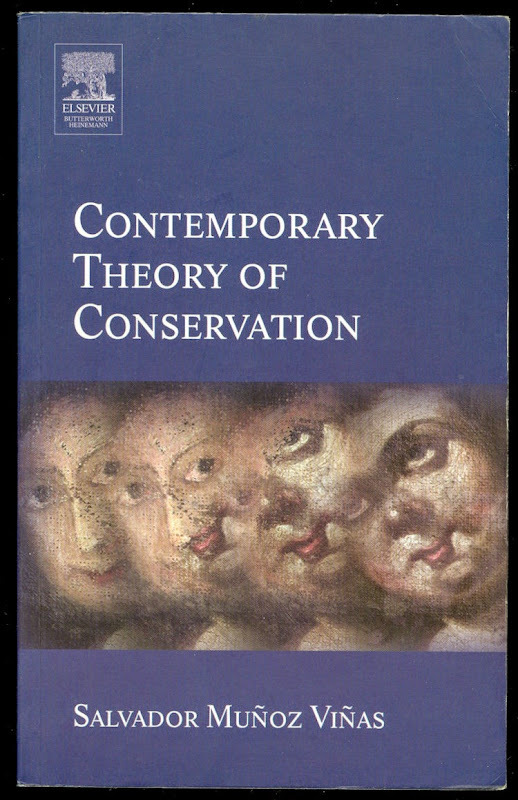 He has published several books on these topics, including Contemporary Theory of Conservation (Oxford, 2005), which has been translated into several languages, such as Chinese, Persian or Italian, and has been said to “bring conservation into the 21st century” (C. Hucklesby, An Anthropology of Conservation). For more information on the Judith Praska Distinguished Visiting Professor in Conservation and Technical Studies, click here. This entry was posted on January 22, 2015. It was filed under news and was tagged with Judith Praska Distinguished Visiting Professor in Conservation and Technical Studies, picture cleaning injuries, Pride and Prejudice and Patina, Salvador Muñoz Viñas, The Consequences of "Cleaning" Pictures, the Institute of Fine Arts.